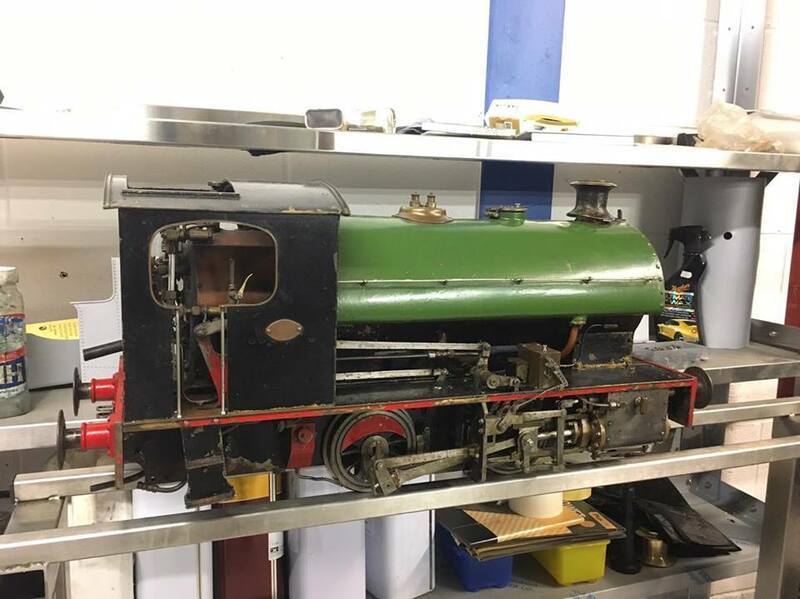 Here we have a properly solidly made 5″ Bagnal 0-4-0 ‘Kenfig’ class locomotive, built to the fairly rarely modeled ‘Ann of Holland’ design. 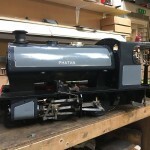 We have another of these in stock that we are doing a full re-build on,…. 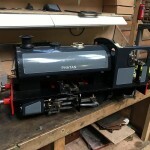 which is also available from our ‘our rebuilds available’ page. 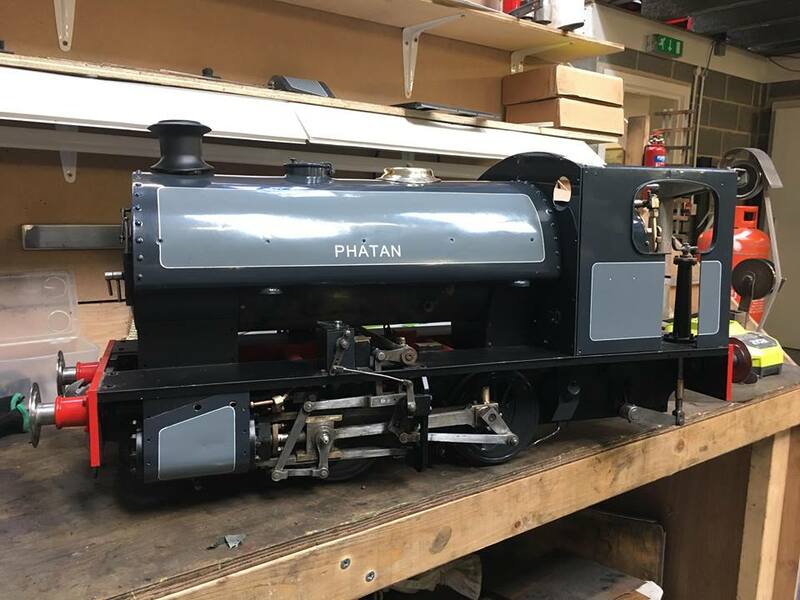 This one was a well built and run model that was super cosmetically tatty, so we’ve done a re-paint on her, and a light mechanical overhaul, and now she looks fresh as a daisy and ready to go again! 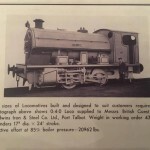 The full size prototype was a massively chunky and powerful 0-4-0 saddle tank, with outside Walschearts valve gear, huge cylinders and slide valves. 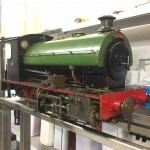 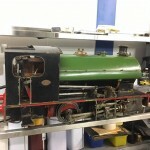 The first one built was named ‘Kenfig’, the rest of the class being named after the first. 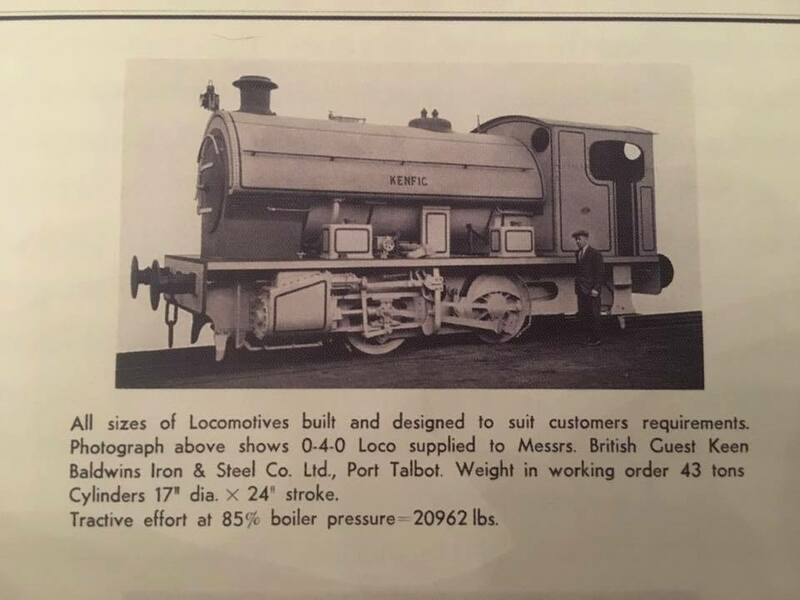 Most were in fact built to the same general design, but with inside Stevenson’s valve gear as was more common for industrial tank engines. 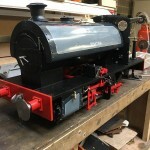 There’s an injector fitted, an axle pump between the frames and a hand pump in the cab. 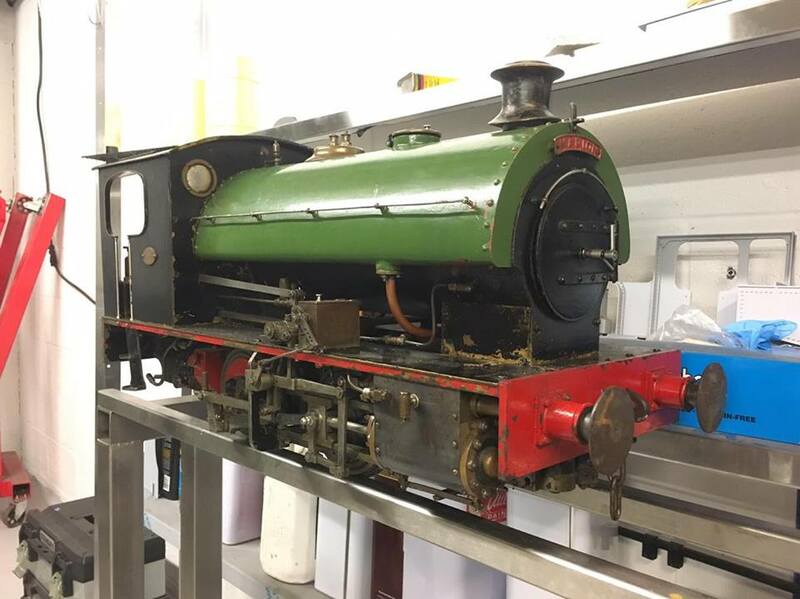 Lubrication is mechanical, and there’s a chunky reservoir for each cylinder on the respective running boards. 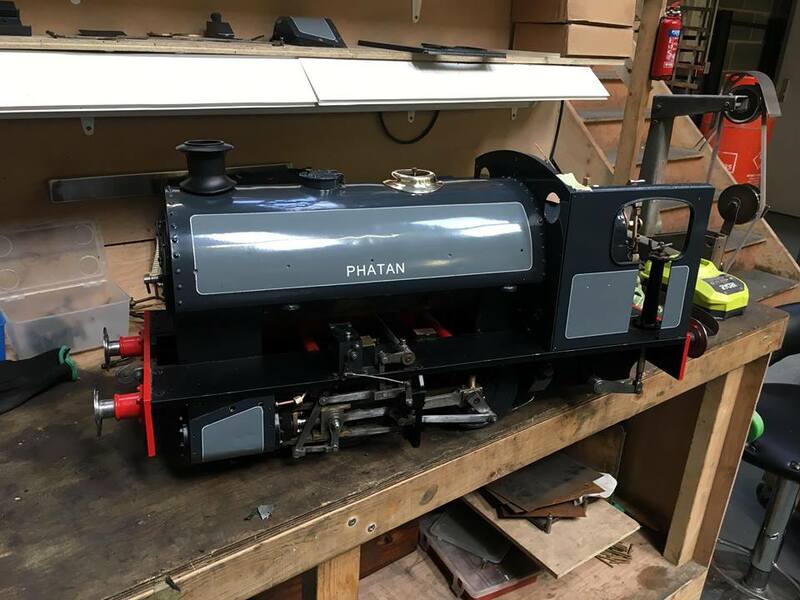 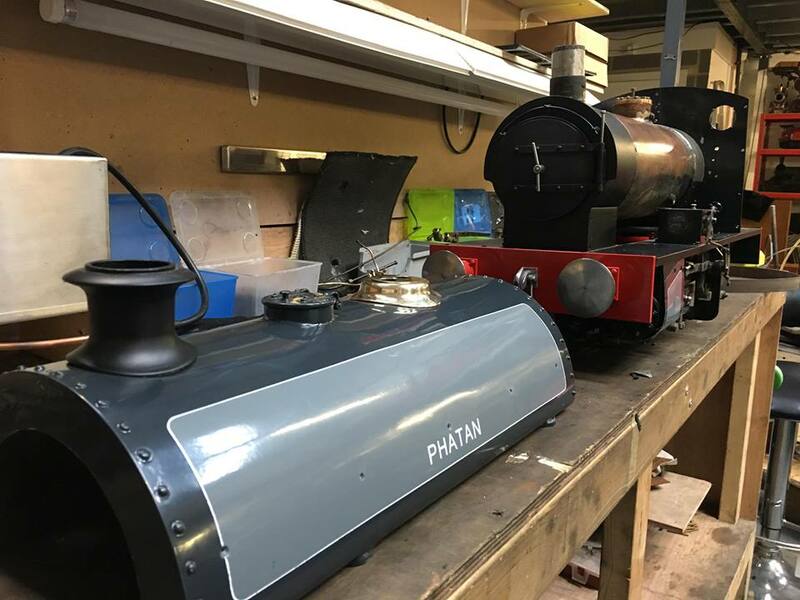 She comes woth a fresh 4 year hydraulic and a fresh steam cert and is ready to play, and to amaze your friends with quite how powerful a little 5″ gauge live steam 0-4-0 can be! 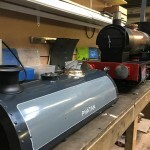 This is how she arrived with us at the workshop. 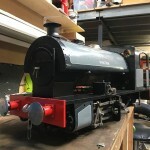 And then after a good bit of work,….. this is how she is now, nearly finished and running again! 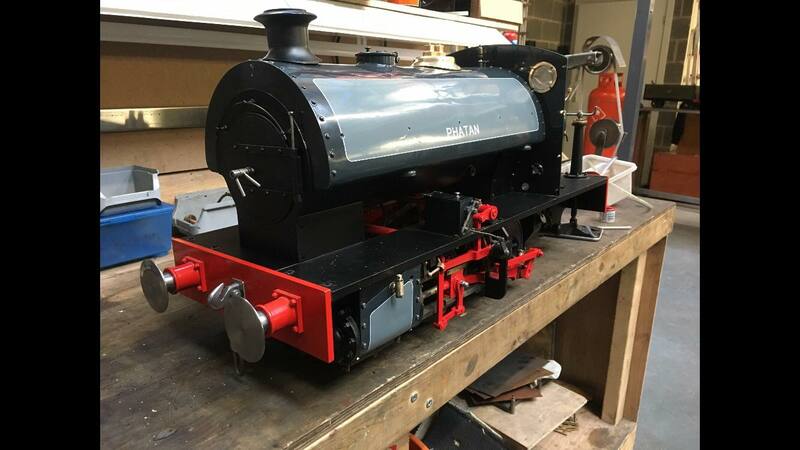 It’ll give you the basic idea of the loco as it will be finished. 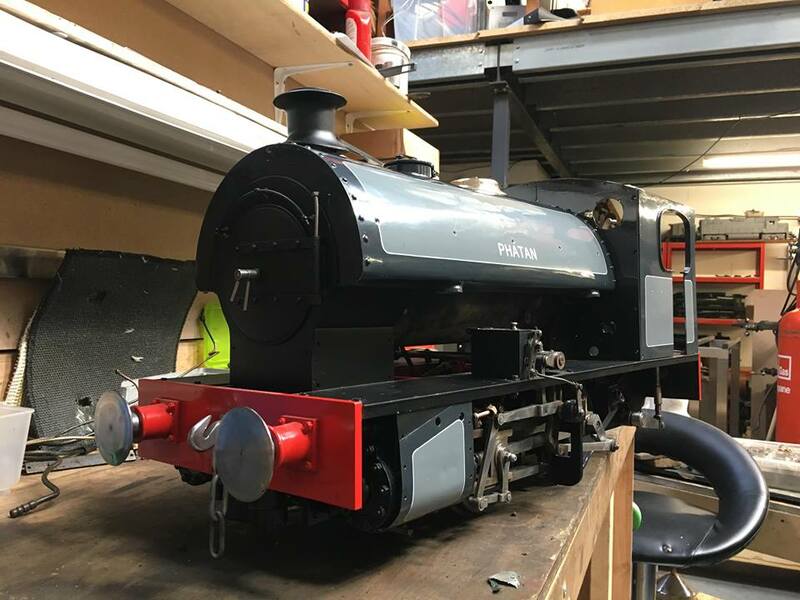 The current plan is to paint the valve gear red, as we feel that it will work really well with the livery, but it can of course stay in bright steel if you would prefer.